Wari La Pass is a 5,250m (17,300 ft.) high mountain pass and is the highest pass in Nubra Valley and 4th highest in the world. 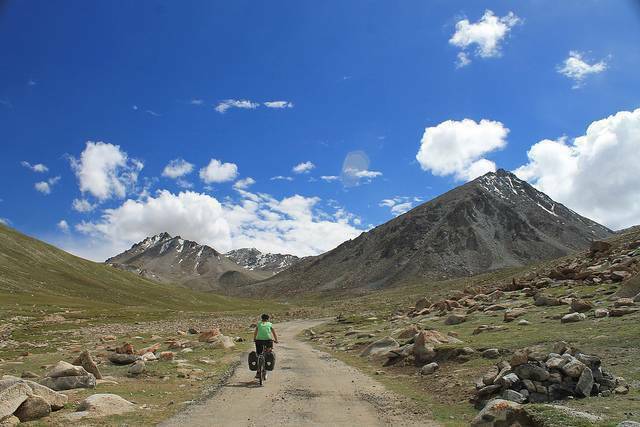 Travelling the Wari La is a must for all bike enthusiasts. Following the Wari La route involves a lot off riding as the roads are not very developed and have lot of streams flowing through it. On this particular trail in Ladakh, there are very few people and even less tourists. While following the trail, you may not get any signal on your phone; there are very few dhabas along the highway, no shops and no villages. You will find yourself in the company of wild horses, goats and sheep, with a clear blue sky in the background and fresh steam water on the trail. The best way to travel Wari La is on a bike though 4x4 SUVs can also be taken.